How To Buy The Best Used Car - Which? Buying a used car can put your dream car within reach, and save you a fortune in depreciation. We'll help you buy the best used car at the right price. Buying a used car, or a nearly new car, can result in huge savings compared to buying brand new. Unless you’ve got very specific needs, there’s usually a ready supply of suitable, good quality cars. And you can drive away as soon as the deal is done. Keep reading for our top 11 used car buying tips and test drive advice. We've rounded up the best new and used cars by class, to help you quickly find your ideal car. We also highlight the worst cars to avoid. 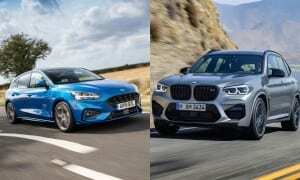 Take a look at all of our top cars for 2018. A used car is any car that is currently or has previously been registered to a private or company owner. They tend to be at least one year old, and have a minimum of a few thousand miles on the clock. Buying a used car can be the riskiest way to buy a car, as it can sometimes be tricky to know how well it’s been looked after, and if it has a hidden history – more on both below. But it is often the cheapest way to purchase a car in the long run, provided you don't pay over the odds for it and you choose a reliable model. Our extensive survey of thousands of car owners mean we know which models are the most and least reliable. So don't hand over any cash until you've checked our used car reviews. A nearly new car is any car that has been bought new and had its title registered for legal use on the road (ie. it has a number plate), but has only been lightly used. Nearly new cars typically have no more than a few thousand miles on the clock. The car may have been registered by a manufacturer, dealer or the first owner - someone who is planning to sell the car on quickly. ‘Ex-demonstrator’ (ex-demo) cars used to provide test drives to buyers at a dealership. It may have a few thousand miles on the clock from test drives, but often have lots of optional extras specified. It will have been well looked after in order to impress buyers. 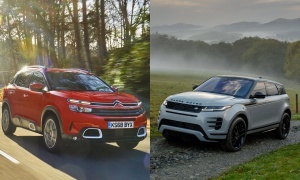 ‘Pre-registered’ cars bought by dealers in order to meet sales targets and then sold on at a discount after around three to six months (there’s usually a minimum period before the dealer qualifies for discounts or sales bonuses from the manufacturer). It should have delivery miles only – usually no more than a couple of hundred at most . It may have been sitting unused on a dealer’s forecourt for several months. Buying a nearly new car can bag you an attractive discount, but will also mean it has a shorter warranty. This is because the warranty starts as soon as the car is registered, which could be months before you buy the car. You’ll technically be the second owner. Also, the best finance deals are often reserved for brand new cars, so the nearly new saving may not be as large as you expect. 1. What do you need from a used car? Before you start your search, it’s worth pinning down your exact requirements, whether it’s a large boot or four-wheel-drive. We recommend you write a list that prioritises what you want and need a car to do – and that should include an idea of how much you’re willing (and able) to pay. Every Which? review of cars old enough to have reached the second-hand market includes a second-hand starting price to give you an idea of what you can afford. You may also want to check a used car classifieds website, such as Auto Trader (the largest), to look for cars in your price range. Buying used means you can normally avoid the steepest loss in a car’s value through depreciation, which happens in the first few years. However, as a car gets older and the warranty elapses (they typically last three to five years, although some seven-year warranties are available), maintenance often becomes more intensive and expensive. So is worth factoring in. Sports cars and luxury cars can be among the most expensive to maintain, due to their large, high-performance engines and extensive gadget count. Remember to budget for car tax, car insurance, servicing and fuel, too. Our online cost calculator will help you decide whether a petrol or diesel car will suit you best. Considering an unfashionable brand or model, or an unpopular engine type, could help you buy a bargain. But make sure it's a brand you can trust - we reveal the most reliable car brands. Online car-valuation tools give you a bespoke valuation for the car you’re considering, putting you in a stronger position as a buyer. Most work by letting you enter a registration number and approximate mileage, but you can also often search by make, model and year. Glass's, CAP and Auto Trader are the three main online valuation providers, but there are many others. Note that while most valuation tools are free to use, you'll normally have to provide some details to use them. Such as signing up for an account or providing an email address. 5. Car dealer, private seller or car auction? An ‘approved used’ car from a manufacturer's franchised dealer is usually the most expensive used option, but the car should have been checked thoroughly, and it will come with a warranty. Independent dealers generally offer lower prices and more choice, as they’re not tied to a particular brand. However, any warranty offered may be limited and the quality of the cars is more variable. Be wary of buying a warranty provided by a third-party (as typically sold by independent dealers). We've found they can offer poor value - see should you buy a used car warranty? Buying from a private seller is usually cheapest, although most cars are ‘sold as seen’ - so you will have very little legal comeback if things go wrong. You may also have to arrange your own insurance cover to legally test drive a car offered by a private seller. Finally, a car auction could be cheaper still. Auctions are fast-paced, though, so make sure you set a budget and stick to it. Attend a sale first to learn the ropes before you decide to bid. You’re likely to be bidding against experienced dealers, so be wary of getting carried away and make sure you inspect any cars you’re interested in before committing. For more information, check out our expert guide on where to buy a car. A used car history or vehicle provenance check will show if a car has outstanding finance, or has previously been stolen or written off by an insurance company. We recommend checking any potential purchase in this way, particularly if it's being offered by a private seller, or you could risk your car being seized. Most reputable vehicle-provenance companies get their data from various sources, including the DVLA, the Police National Computer and the Association of British Insurers. A thorough vehicle provenance check can cost around £20. Be wary of very cheap options, usually found online, as the companies behind them often don't have access to the same information databases. Reputable provenance providers will guarantee the information they supply, minimising the risk for buyers. If you decide to buy after checking and test-driving the car, it's time to negotiate a price. Look for things that could throw up costs in the near future - such as a short MOT or worn tyres - and use these as bargaining points. 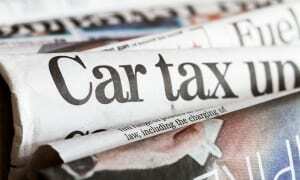 It's worth bearing in mind that car tax is no longer transferable between owners, so you'll need to pay for at least six month's tax before you drive away – although some dealers may offer to pay this to sweeten the deal. We've got expert tips on haggling, including our tried-and-tested script. So make sure you read our guide on how to get the best price on a car. 8. Car to trade in? If you’re buying from a dealer, you may decide to trade in your current car. However, you’re unlikely to get as much for it as you would if you sold it privately. For more information, take a look at our guide on how to sell a car. 9. Buy a used car with cash or finance? The cheapest way to buy a used car is to pay cash up-front – by this we mean using actual cash (be careful if you’re carrying a large number of bank notes with you), a debit or credit card, or a bank transfer. It could also include money you’ve borrowed via a personal loan. Whichever ‘cash’ method you choose, the seller gets paid straight away. For that reason, be very careful you don't hand over the cash to a private seller, or make a bank transfer to them, without being sure you're going to get the car in return. There are fraudsters out there who'll try and take your cash by asking you to use a money transfer service of their choosing, and it's even been known for a scammer to swap one car for another after you've done the deal. Buying from a dealer is much lower risk, and most offer finance packages where you can spread the cost of the car over several months or years. Learn more by reading our car finance explained guide. You can still haggle to get a good overall price and a low interest rate, which can often be tweaked along with the repayment term. Some used cars will still be covered by the manufacturer's warranty, but that doesn't necessarily mean you need to go to a franchised dealer for servicing and repairs. Independent garages can be cheaper, provided you pick the right one - see our expert guide on how to find a good garage. When buying or selling a used car privately, it is your responsibility to ensure that you’ve informed the DVLA of the change in its registered keeper. Traditionally, both parties signed the relevant section of the car’s V5 document, then posted it to the DVLA. After this, a new V5 document is issued in the new owner’s name. To speed up the process, the DVLA has an online service (available every day, from 7am to 7pm) that can be used by both buyers and sellers. Records are instantly updated and you’ll get a confirmation straight away. The DVLA will also automatically cancel the seller's vehicle tax and any direct debits, then refund any full months remaining on the vehicle tax. Ready to start car shopping? Find out which models excelled in our rigorous tests - see our new and used car reviews.